Savannah’s beautiful marshes and islands serve as the setting for Savannah Country Day School’s Coastal Ecology Camp this summer. Each week-long session takes students into the fascinating world of this fragile ecosystem. Led by Bill Eswine, Savannah Country Day’s science coordinator for the Lower School and Director of the Coastal Ecology Program, the camp includes marsh studies at the Marine Institute, a beach erosion study at Cockspur Island and Tybee Island, a trip to Sapelo Island in nearby McIntosh County, and visits to many other coastal sites. 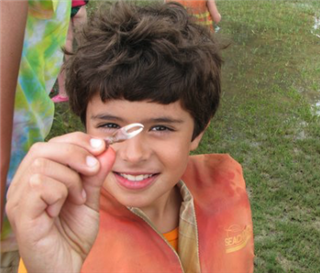 Savannah Country Day’s Coastal Ecology Camp has been held annually since 1982!